"A box of gardenia?" you may be thinking. Yes. 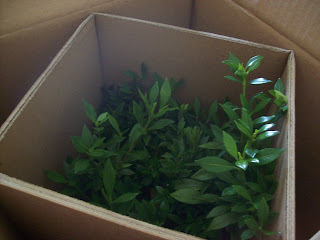 The Fed Ex man delivered a large box yesterday to Chic & Green from ProFlowers. In it was a gorgeous, lush gardenia bonsai plant. I was given the opportunity to try anything from a list of items on the ProFlowers website for review here on the blog. I am telling you it was not an easy choice. I had a great time looking at the gift offerings, from the Teddy Bears and Fresh Fruit Baskets to the Spa Gift Baskets and Green Plants. I have been wanting to add more green inside the house. I do not have a green thumb. Just ask my newly planted hydrangeas that I cannot seem to save in this heat. I love having plants in the house and fresh flowers as well. I am going to get a small palm tree for the living room to go behind a dark wicker chair I recently bought at Pier 1. Obviously palm trees would never survive planted outside with winter in Upstate New York, but having one inside would remind me of the brief time we lived in Savannah. I was so happy when I was given the opportunity to select something to try from ProFlowers. I could not make up my mind. 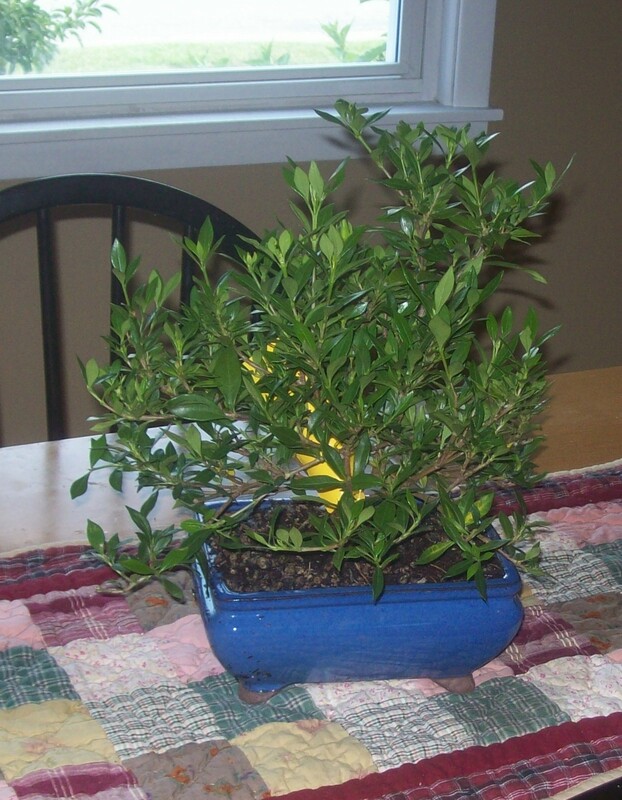 I was drawn tho their selection of bonsai trees and plants, so I decided to choose something from that genre. 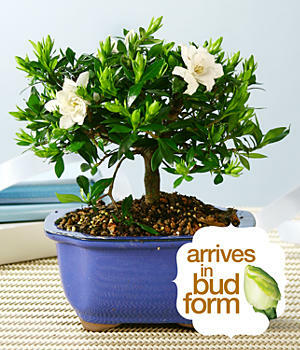 The moment I saw the Gardenia Bonsai, I knew that I would be selecting it. I adore the beautiful fragrance of gardenia. In fact, it is one of the only floral scents I will wear when it comes to fragrance. The aroma of pure gardenia is romantic and intoxicating. The flowers, when in bloom, are also glorious to look at. I was worried about how my potted gardenia would arrive. I was worried without reason. The box was arranged with such attention to careful packing, that not a single piece of dirt spilled out. The beautifully glazed country blue pot was also secured extremely well to protect it. Not a single leaf or bud was out of place or harmed in any way. I am very impressed. We're in the midst of a major heat spell--it is 95 degrees again with high humidity and the plant arrived in such wonderful condition. It was shipped via FedEx Overnight mail. All orders are expedited to ensure a fresh, healthy plant. My plant has many little buds but is not yet blooming. 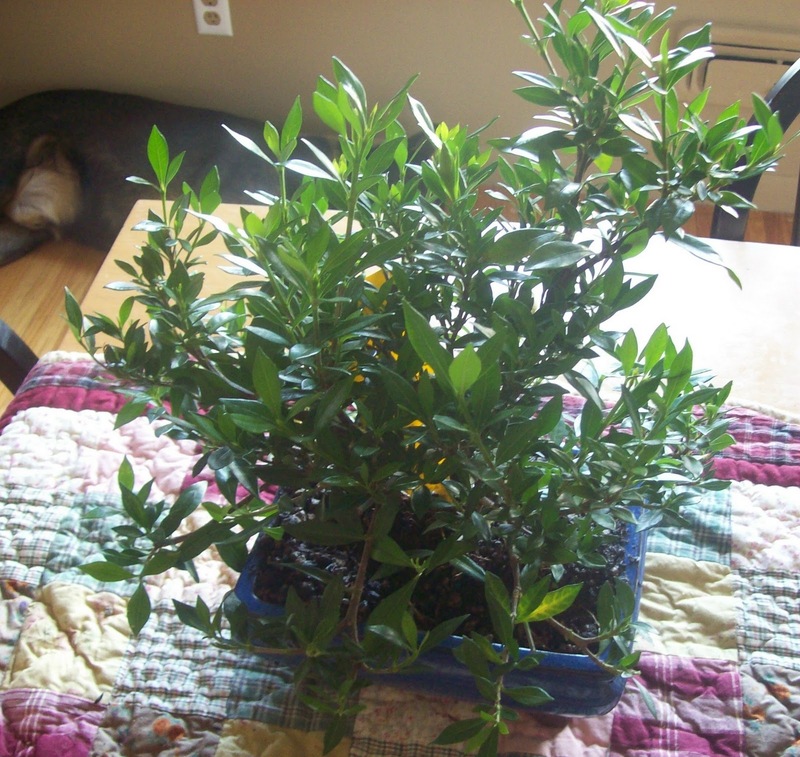 I placed the gardenia on my dining room table, which receives a great deal of sunlight each day. I really would recommend ProFlowers for gift ordering because of the value, level of service, and quality of product. Truth be told, I do not always like to receive flowers for special occasions. When you order a typical bouquet, they seem to be overpriced and last a few days at most. 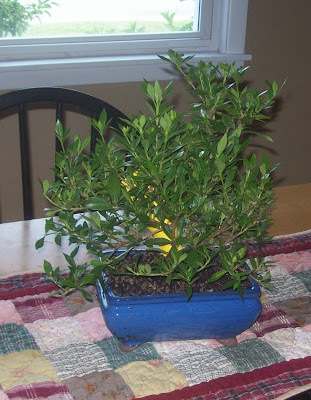 What I really like about the Bonsai Plant I received, is that these indoor plants and trees can survive for a very long time. Best of all, having indoor plants like this can have other benefits. Did you know that when you have indoor plants, they add oxygen and humidity to the air? 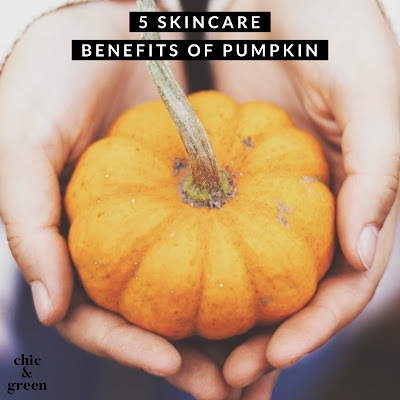 They also can help reduce toxins. 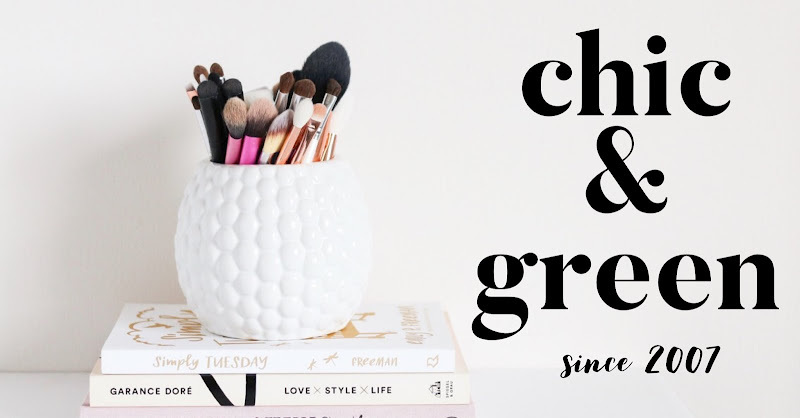 VOCs are harmful chemicals released in the air and many types of plants are able to reduce harmful indoor chemicals. Beautiful plants like this not only add beauty, but provide ecological benefits. Now that is a truly green gift idea! Disclosure: I was sent an item of my choice by ProFlowers for review. I did not pay for this product. This, however, in no way has influenced my review.